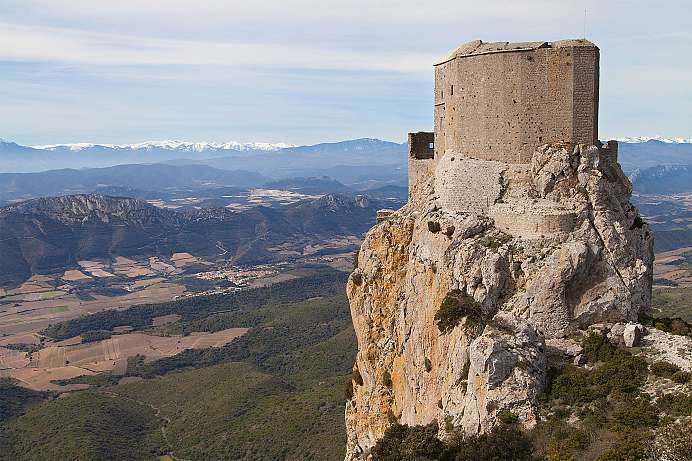 The region along the Mediterranean coast between Rhône and the Pyrenees is particularly diverse: The coast offers endless sandy beaches, Cathar castles can be found inland, often located on spectacular hill tops. 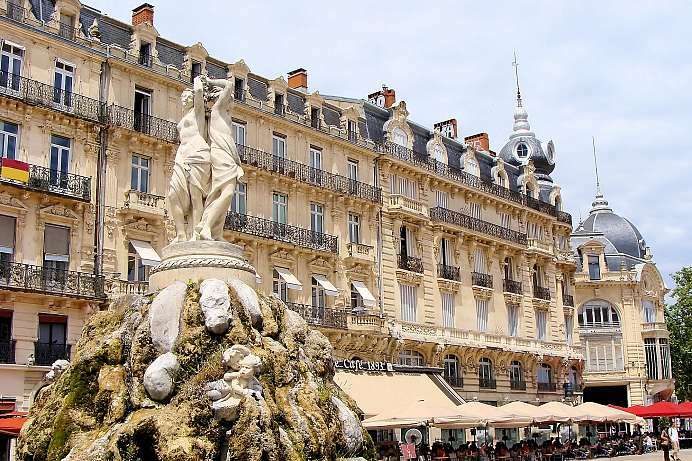 Charming cities such as Bezier, the capital of wine, or the lively university town of Montpellier lie between France's oldest vineyards. This national park, which was established in 1955, protects a unique mountain environment located between 1,000 and 3,300 meters above sea level. A variety of ecosystems can be found here, including grasslands, agricultural fields and deciduous forests at the park's lower altitudes. 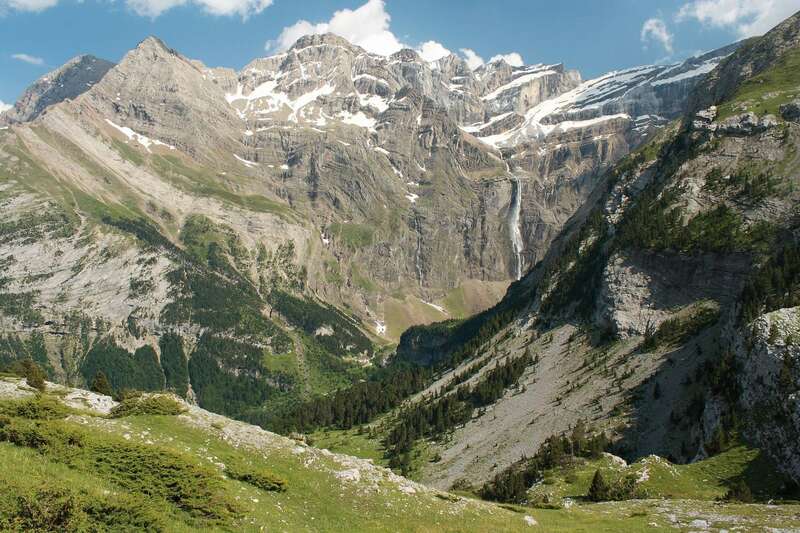 Evergreen forests, alpine meadows and rocky terrain can be found higher up. The best way to explore the park is on foot. There are information centers in Espot in the eastern part of the park and Boí in the western part. These are also starting points for a number of hiking trails. 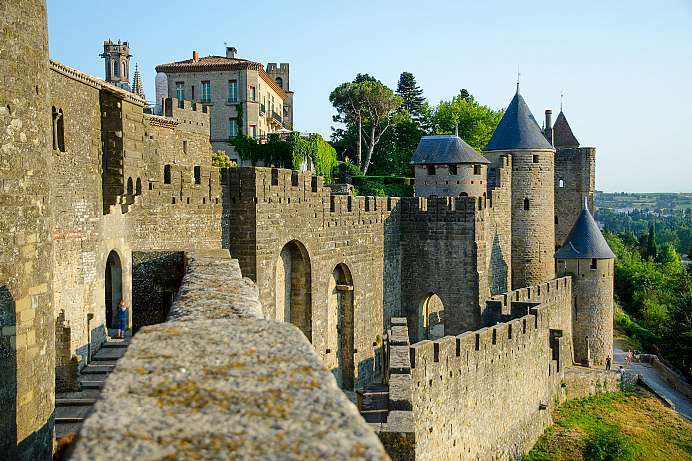 The fortified city of Carcassonne lies at the crossing of two major traffic routes in use since Antiquity: the north-south gap between the Pyrenees and the Massif Central, and the east-west route from the Atlantic to the Mediterranean. Carcassonne was founded by the Romans, and each successive conqueror – Visigoths, Arabs, Franconians, Cathars – added to the immense fortification. Boasting a double ring of ramparts and 53 towers, Europe's greatest fortress was completed by Philip the Bold in 1280. We commend visiting the site in the early morning or in the evening in order to avoid the large numbers of tourists drawn there every day. The term Cathars (from the Greek: Katharos – pure) refers to the largest Christian faith movement of the late Middle Ages, with its origin in Occitania, what is now the south of France. They called themselves veri christiani (true Christians) or boni homines (good people). Their doctrine was characterized by the dualism of the wicked world and the good that could only be found in God. While the Roman Catholic Church held Latin masses, they were preaching in local languages, which earned them great popularity. As the movement grew, the Roman Catholic Church reacted to the unwanted competition with inquisition and persecution. As a result the Cathars retreated to the secluded area on the edge of the Pyrenees. During the so-called Albigensian Crusade, which was lead out of the fortress of Carcassonne, the Cathars were finally destroyed completely. What remains is only their name which has entered the German language: the word “Ketzer” (heretic) still refers to someone who has deviated from the pure doctrine. Steep canyons, rugged mountains and wide plateaus dominate the landscape between the Rhone valley to the east and Highway 75 to the west. 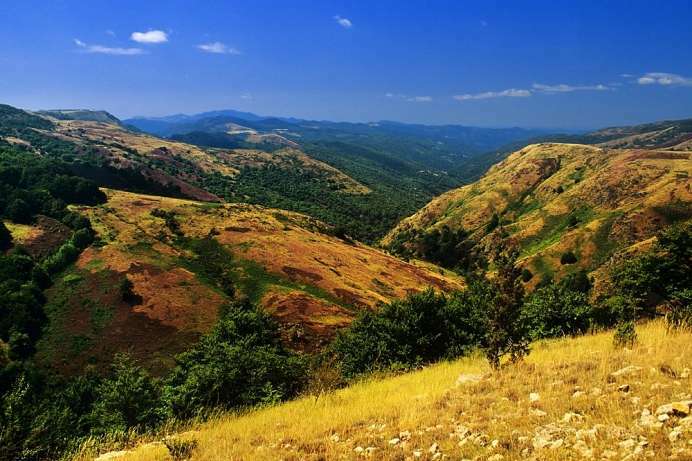 The Cevennes are the southernmost foothills of the Massif Central, which has risen from the seabed 350 million years ago. In this barren region cereal production is difficult. Therefore, the chestnut tree was considered the bread tree of the Cevennes. The traveling pasture farming, a semi-nomadic form of sheep farming, has been preserved from the early Middle Ages until today. 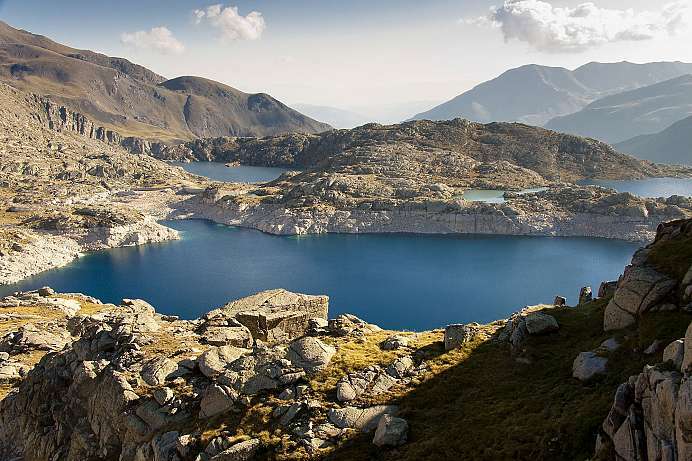 To protect them, the UNESCO has declared the previously existing National Park to a World Heritage of Mankind. This city has a population of 250,000 and is one of the few on the French Mediterranean coast that was not founded in ancient times. The first settlement was established here in 740 AD by the Franks. Yet the city is still worth a visit. 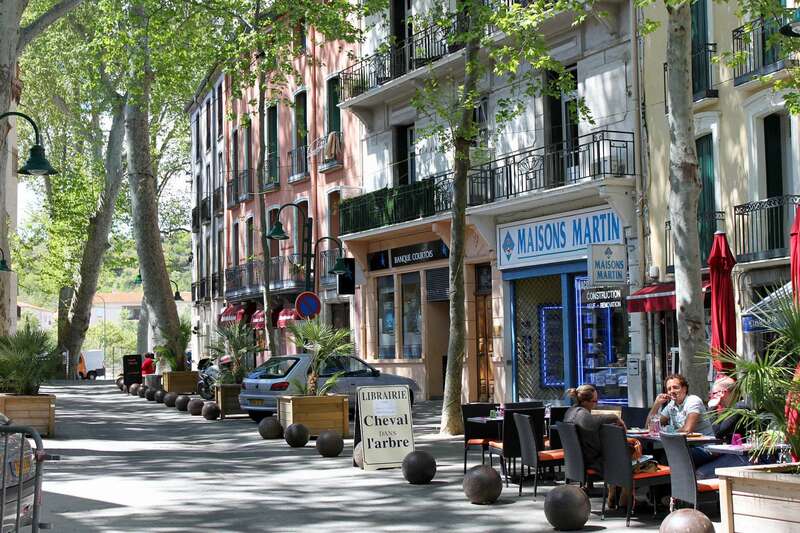 It offers a lively old town surrounding the Place de la Comédie. With its 60,000 students, the its university is the largest in France and provides the city with a colorful and cosmopolitan atmosphere. Dating back to 121 BC when it was in Roman hands, the city's importance as a trading center derives from its location on the route between Italy and Spain. 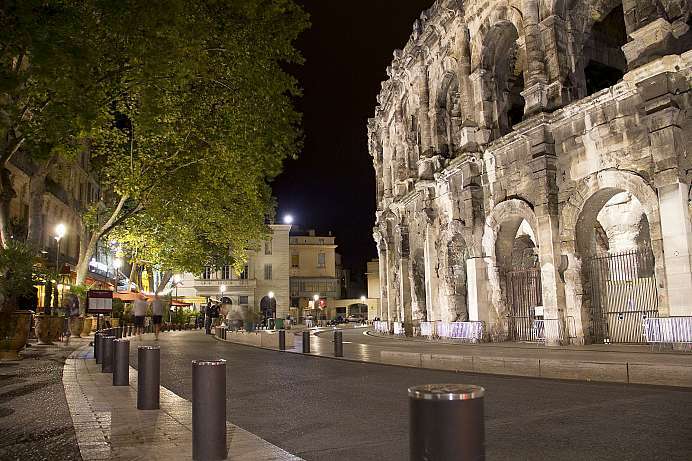 Tucked away in the hills of Cevennes, Nimes boasts are large number of historical buildings. The most significant of these is the amphitheater, the best-preserved – albeit not the largest – Roman arena in existence today, despite the fact that it was used for other purposes during its long history. The Goths converted the structure into a fortress, in the Middle Ages it was a knight's castle and later it served as living quarters for 2,000 people. 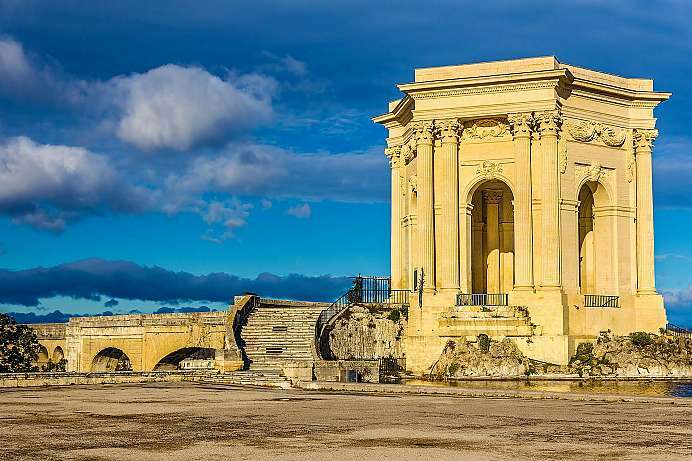 Just 25 km northeast of Nimes is the Pont du Gard, one of the ancient wonders of the world. This amazing construction is part of the Roman aqueduct which spans the Gard valley. Water flowed through the 45 m high aqueduct for more than 500 years. 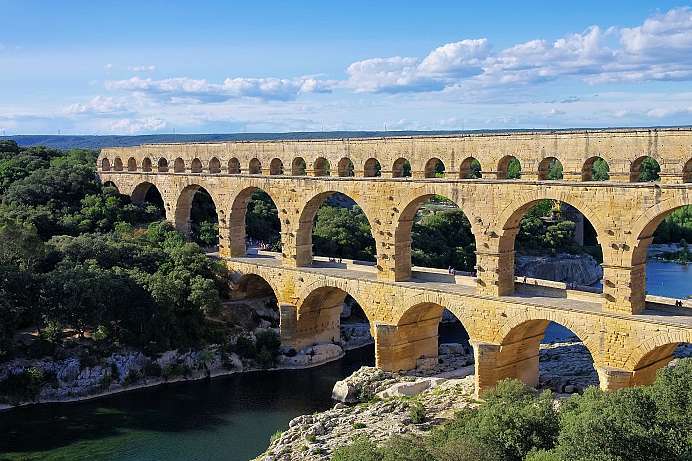 This marvel of antiquity is located 25 kilometers north of Nimes and was the highest aqueduct bridge in the Roman Empire. Pont du Gard was part of the Roman aqueduct system for the city of Nimes and bridges the deep gorge of the Gardon River. For more than 500 years, 20,000 m³ of water used to flow over the 45 meter high aqueduct every day. This promenade was built in 1668 at the highest point in Montpellier in honor of Louis XIV. It is intersected by the Saint Clément Aqueduct, which supplies the palace moat with water. The aqueduct's two tiers of arches were built to resemble the Roman Pont du Gard near Nimes, and a flea market is held under the arches on Saturdays. The promenade's upper terrace offers a magnificent view of the Garrigue, the Cevennen, the ocean and, on clear days, the Canigou. The “Ville Rose” combines the flair of southern France with the spirit of technology and science. Toulouse is the main center of the European aerospace industry. Hub of the city is the atmospheric Place du Capitole, with its arcades and the magnificent town hall. 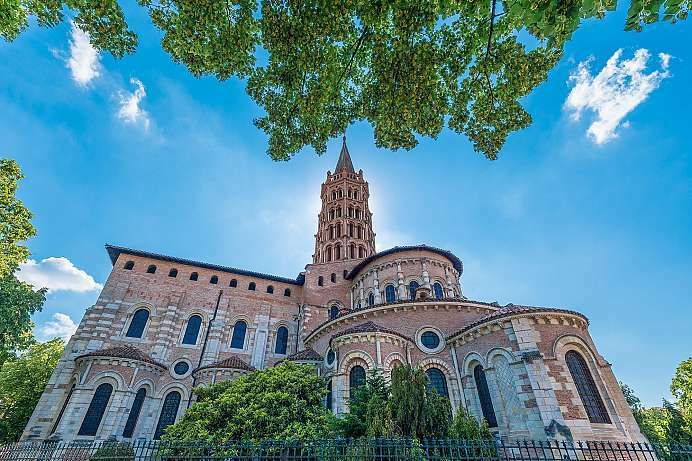 Not far is the romanesque Cathedral of St. Sernin, which is one of the most important pilgrimage churches on the Way of St. James. This town in the barren landscape of Garrigue still breaths the air of the Middle Ages in Provence. 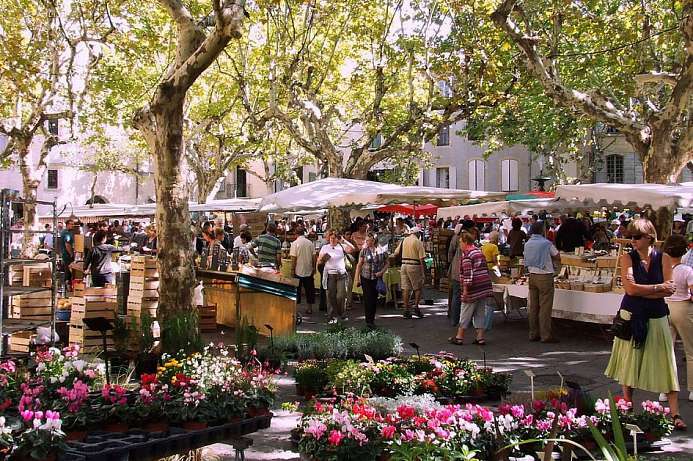 The Place aux Herbes with its bubbling fountain is especially idyllic on Saturdays when the weekly market is held there. The surrounding alleys and shaded arcades will lead you through the disorienting jumble of buildings and courtyards to the ducal palace or the cathedral. 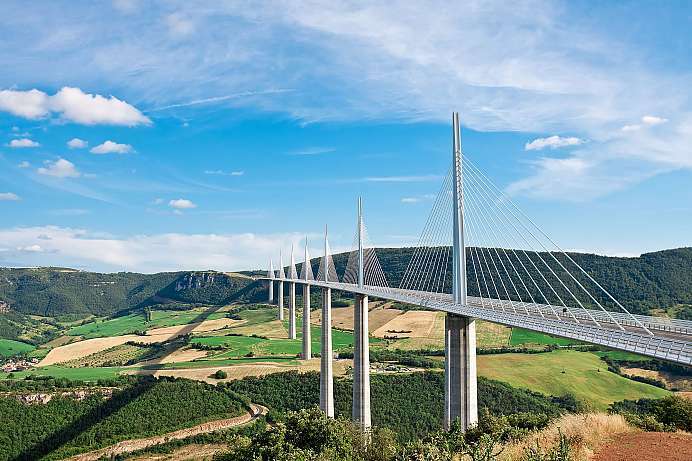 Along the way from Paris to Barcelona the A7 travels across the Millau Viaduct. Opened in 2004, the bridge is a technical marvel: at 2,460 meters, it is the longest cable-stayed bridge in the world. The cables are supported by seven towers that are over 340 m (1,115 ft.) apart. The tallest of them is 343 m high and therefore taller than the Eifel Tower. The attractive structure which has won several architectural and engineering awards spans the Tarn Valley, where the Tarn river thunders upstream through a picturesque canyon into the Cévennes.